Michele sent me this as her entry for my CWC Thanksgiving Contest. Wow! 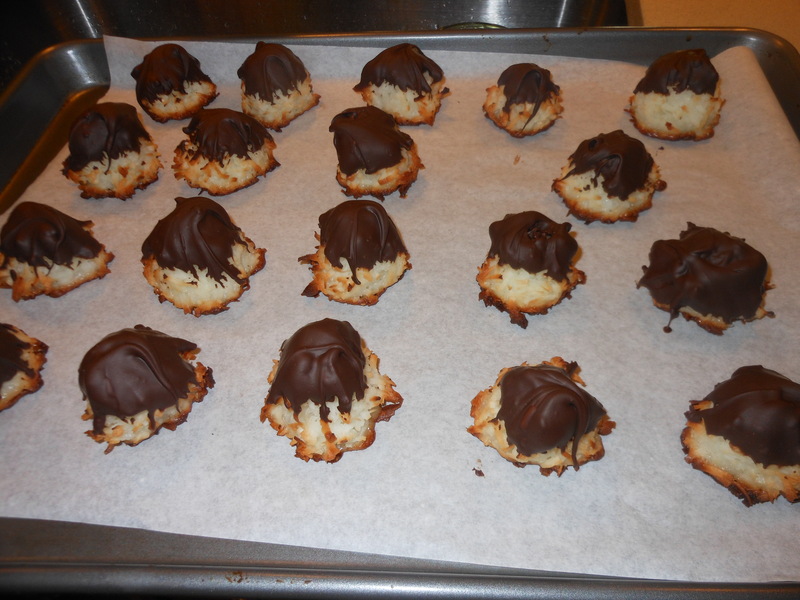 they are amazing and before I keep eating them they are going in the freezer for Thanksgiving. Michele always makes these for her fabulous Christmas party. They will keep in the freezer for up to 3 months, so the plan is to make ahead for Thanksgiving, because these have to be on my table. I didn’t get dried cherries, but I had craisins so I used them. 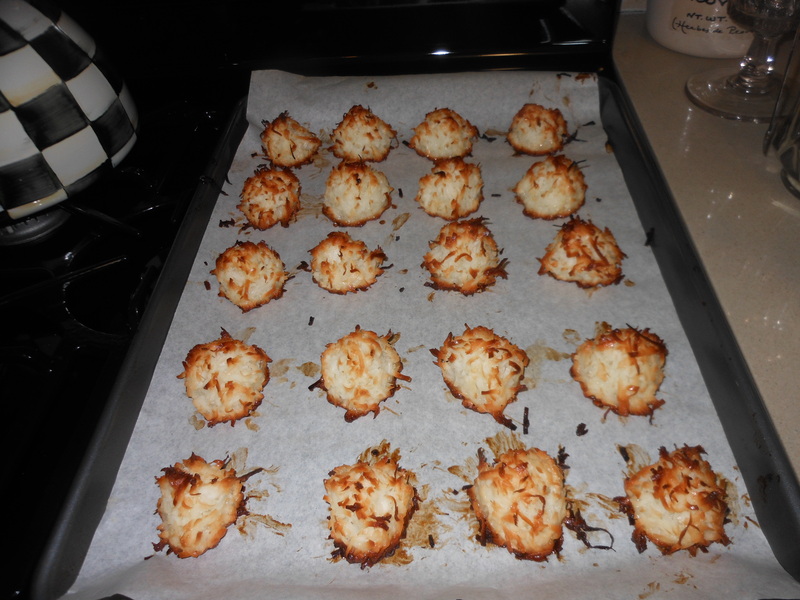 They cooked up in 17 minutes at 325 degrees and were just beautiful. I am happy that I went to the gym this morning that’s all I can say. Thanks Michele for participating and for your support of my blog :). These are going on my Thanksgiving dessert table without a doubt. These are decadent, but if you’re eating a cookie shouldn’t it be? These were so amazing that everyone who ate them fell in love with them, so I must give this prize to Michele. Thanks to everyone else who participated, and I loved Shelly’s muffins and Julie’s Pie which may find it’s way on to my Thanksgiving table. *P.S. they never did stay in our freezer because of Hurricane Sandy. Alot of people got to eat these delicious cookies and everyone agreed they were some kind of wonderful. Preheat oven to 325 degrees. In a large bowl, I placed flour, baking soda and salt and mixed together. In bowl of kitchen aid mixer I placed softened butter, sugars, corn syrup , vanilla, butter and eggs, mixed at medium speed while adding the flour in. When it’s all combined scrape bowl with rubber spatula, and stir in white chocolate chips , nuts and cherries. Drop by slightly rounded 1/4 cups, 3 inches apart onto ungreased cookie sheet, I used a Silpat and an ungreased cookie sheet. These cookies are large so be sure to space 3 inches apart. Transfer to a wire rack and cool. Can be frozen up to 3 months. 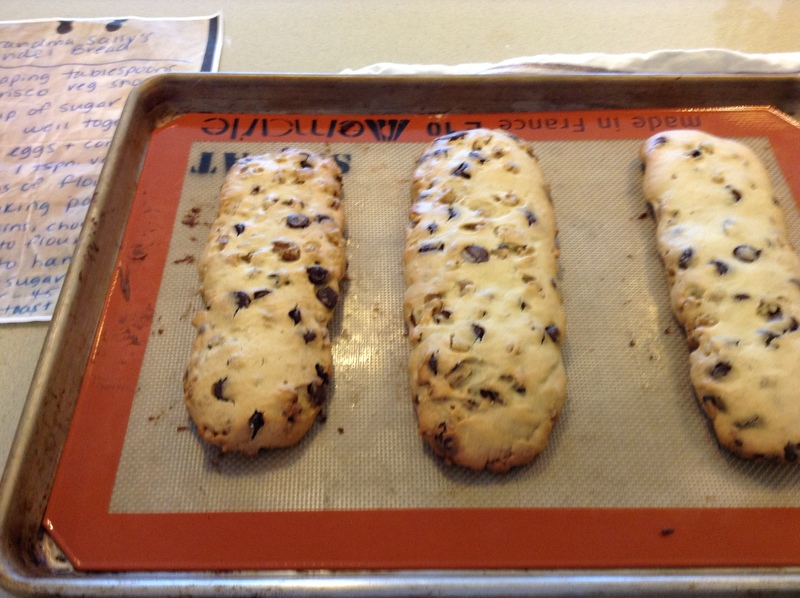 I baked for 17 minutes, check them after 15 depending on your oven. These cookies are amazing. Enjoy! 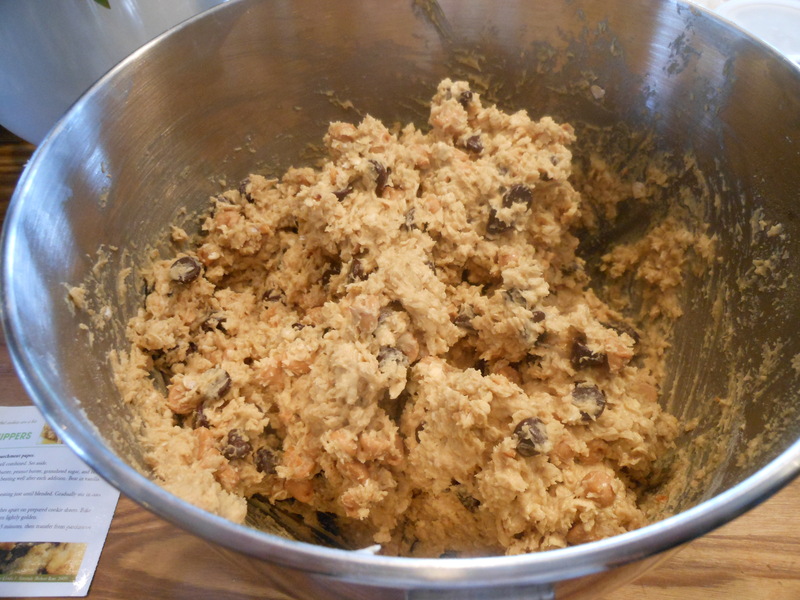 Ummm…..one of my most favorite cookie dough recipes. 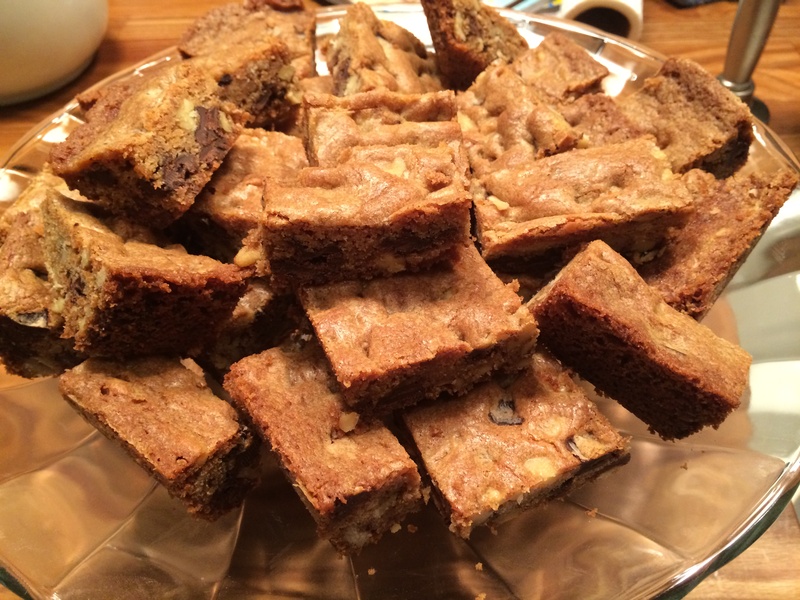 I was wondering how it would turn out if I just spread it in a baking pan and made Blondie type cookie bars. It came out so absolutely perfect ! 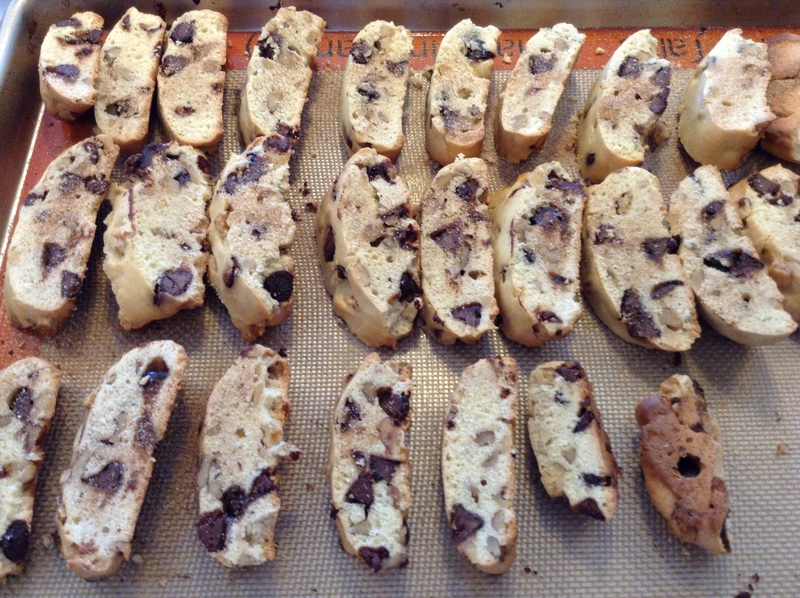 You can even freeze the dough and take it out when you want to bake cookies or blondies ! 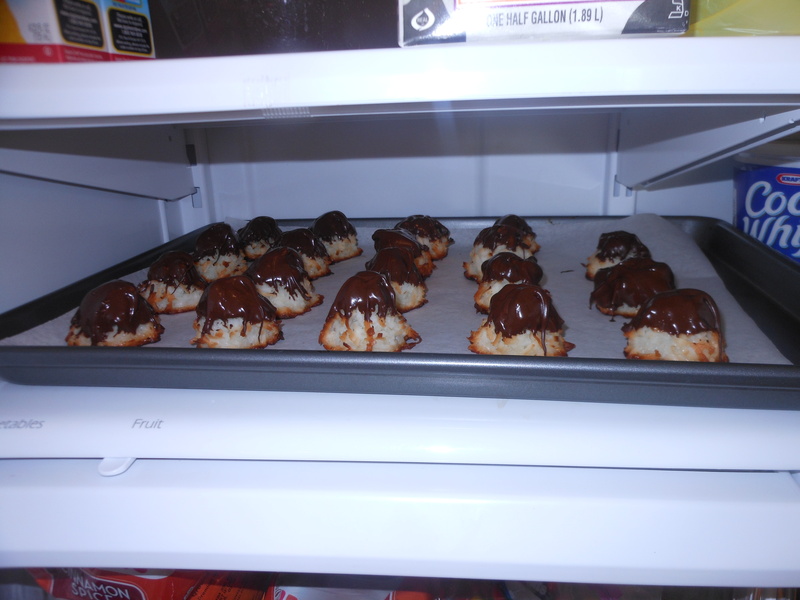 These are a little deadly so I made a big tray and froze about 75% of them and of course we ate the rest of them. It was New Years and couldn’t resist. 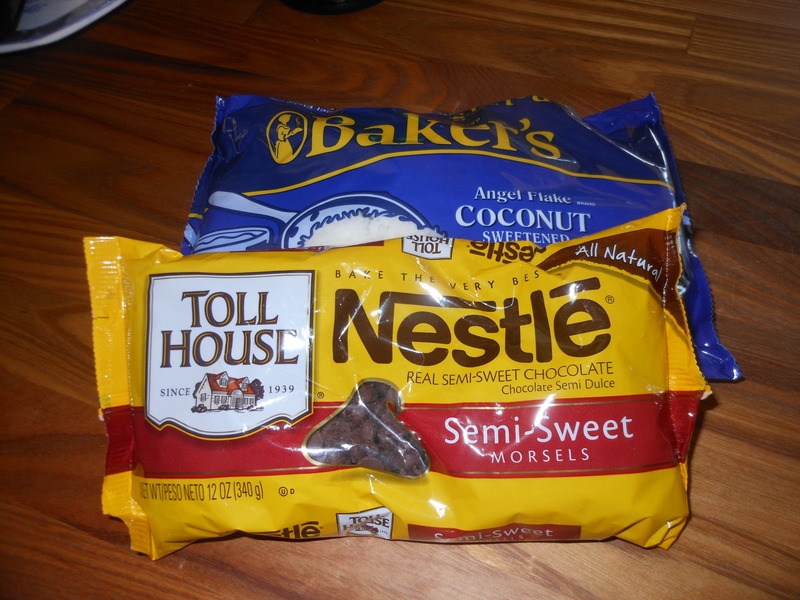 These are great to bake with the kids or grandkids. Perfect dessert for anytime. Super Easy. I prefer these with the chopped walnuts, it gives it a lot of extra flavor and crunch. I understand that there are many people out there with nut allergies however. If it’s not a nut allergy thing I would keep nuts in the recipe. I also love using chunks of chocolate and not chips in this. Very important is to leave butter and eggs out at room temperature. 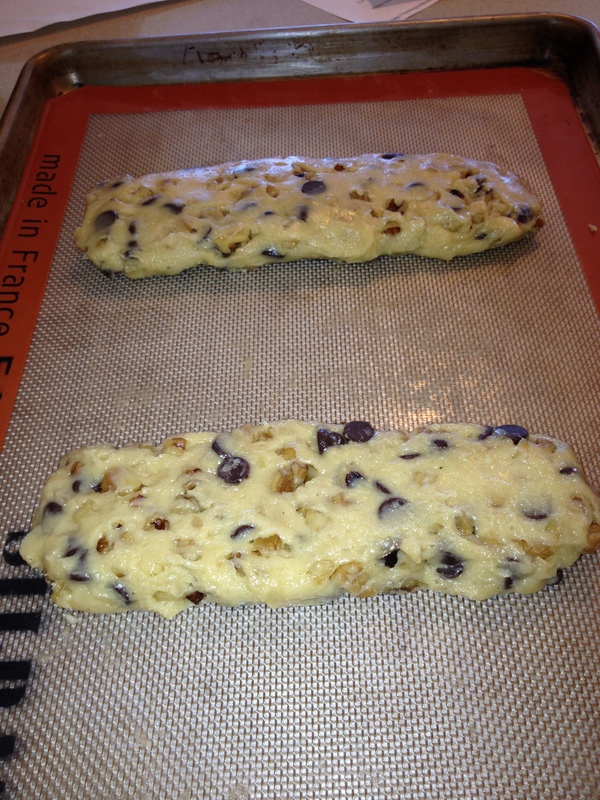 You will spoil your dough if you put cold ingredients into the batter. 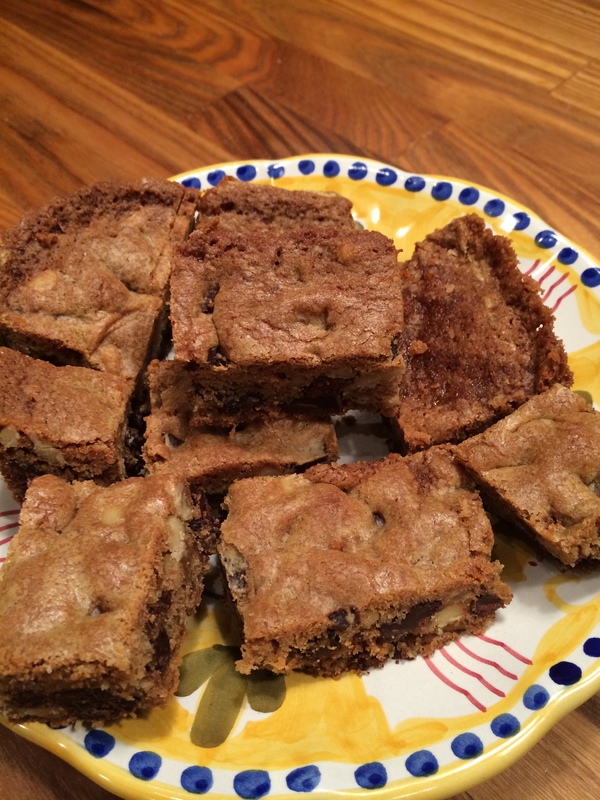 These blondies were a little darker than usual because I used dark brown sugar which is what I had in my pantry when I set out to try this. I would use light brown sugar though because they will look lighter and more Blondie. The taste is the same however and they weren’t all that dark but I am still recommending “Light” Brown Sugar here. In the bowl of an electric mixer fitted with the paddle attachment, cream the butter with both of the sugars on high speed for about 3 minutes till it’s light and fluffy. 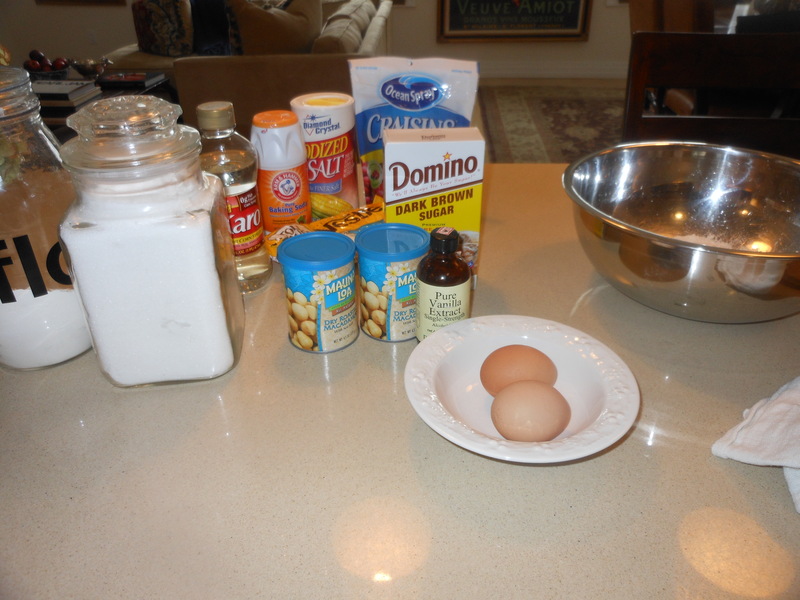 With the mixer on low, add the vanilla, then the eggs one at a time, and mix well. Scrape down the sides of the bowl. In a small bowl , sift together the flour, baking soda and salt and with the mixer still on low, slowly add in the dry ingredients to the butter mixture. 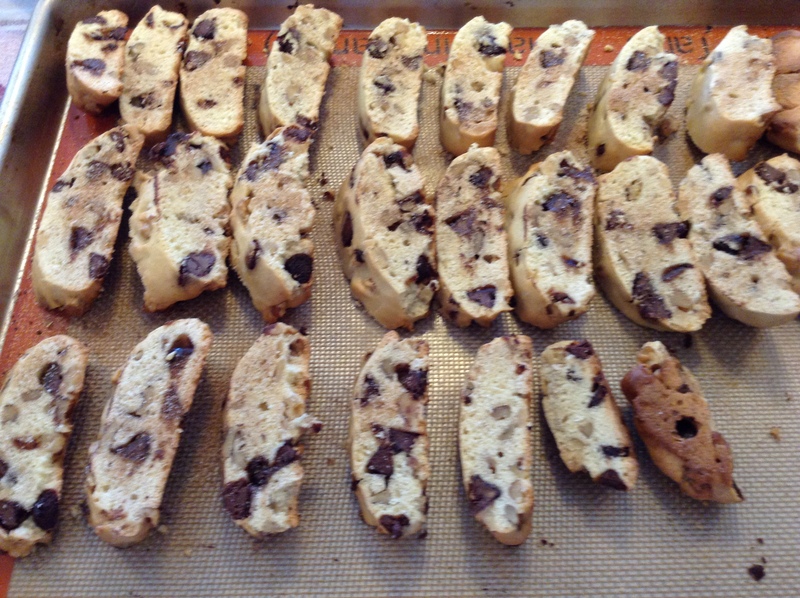 Remove the bowl from the electric mixer stand and fold in walnuts and chocolate chunks with a rubber spatula. Spread the batter into the prepared pan and smooth the top so it’s all even. Bake for exactly 30 minutes. Don’t overbake. A toothpick or cake tester will NOT come out clean. 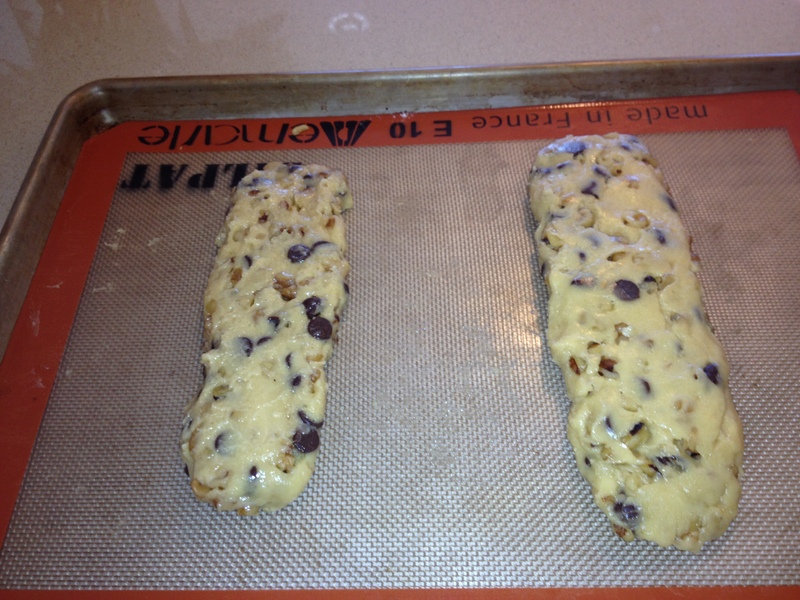 Let cool completely in the pan before you cut into bars. I actually put them in fridge overnight and cut into pieces the next day. If you would like you can also bake as cookies. Putting spoonfuls of dough on prepared sheets ( I love Silpat) and with your hands just press down each ball of dough to flatten the top a little bit. Makes a great chocolate chip cookie. I have made many oatmeal raisin cookies in my day, but this one just suited me perfectly. I like a crispy cookie and I really think the secret behind this one was refrigerating the dough. 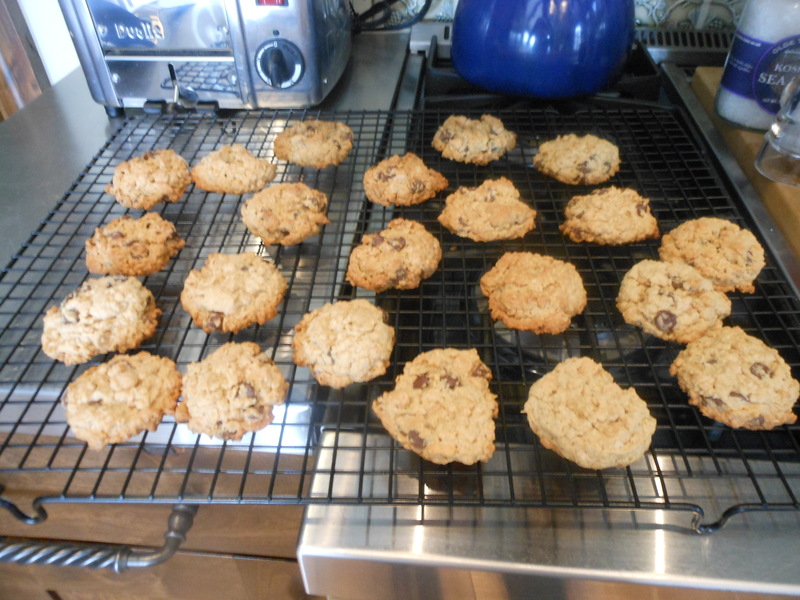 This is a combination of many years of baking oatmeal raisin cookies. 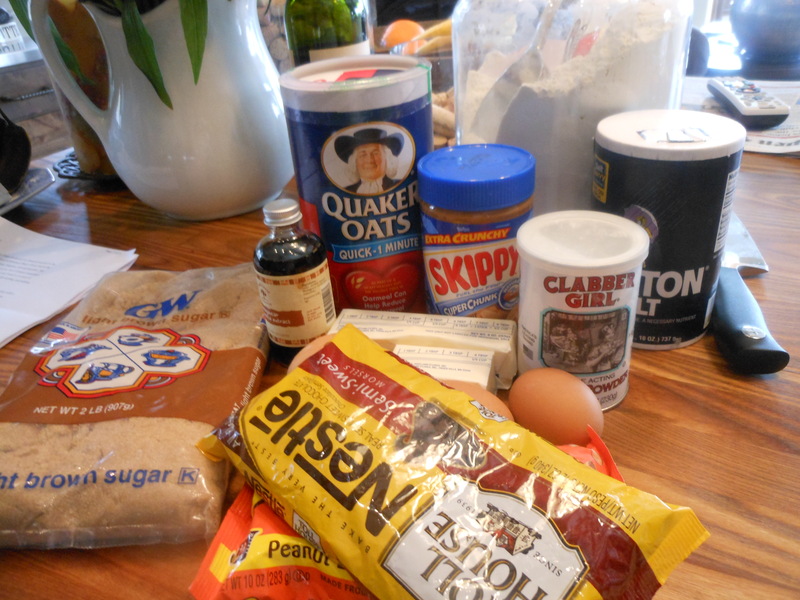 No chocolate in this one and no nuts, I do it differently when I add chocolate to my oatmeal cookies. I made this for New Years Eve because if you just want a little something sweet , it’s perfect. Who doesn’t like a cookie? I actually had this dough in my freezer from another time. 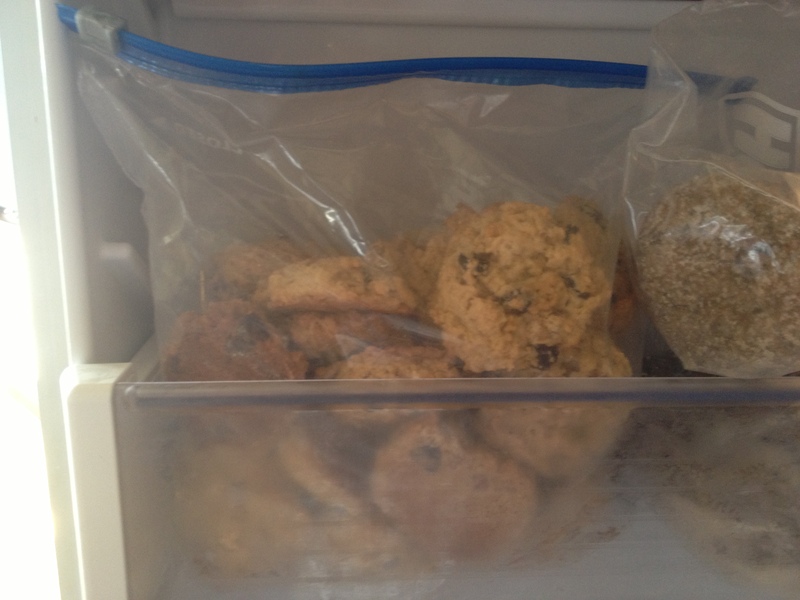 I just put dough into a freezer bag, if you put it in smaller amounts you’ll be able to take dough out for a dozen cookies at a time. If you would like you can double this recipe ( this recipe should make 2 dozen) This cookie bakes up in about 12 minutes, but you’ll have to check after 10 minutes. Edges are crispy and cookie is soft at the same time. Perfection! 2/3 cup light brown sugar , I have to admit I only had dark brown sugar and they were perfectly fine. I think they look better with light brown sugar though. In bowl of mixer, (or electric hand beater) cream together the butter, brown sugar, egg and vanilla until smooth. 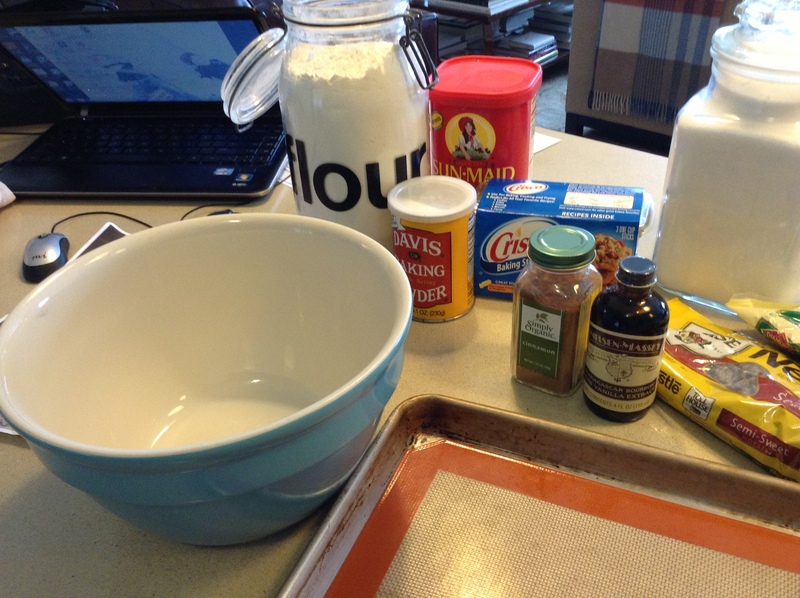 In another bowl, whisk the flour, baking soda, cinnamon and salt. Add to the butter/sugar mixture, and stir in the oats , raisins and walnuts with a spoon by hand. I usually chill my dough for a while at this point, clean up the kitchen and go about my business. 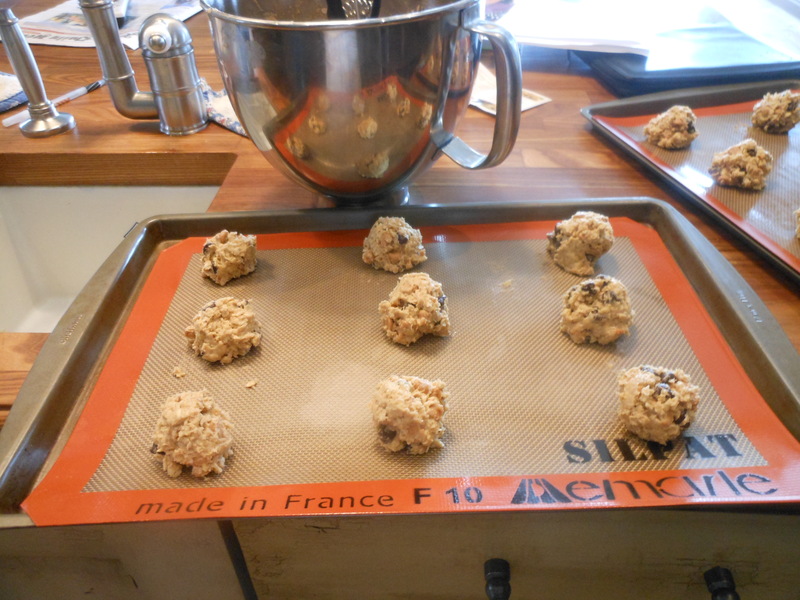 When I’m ready I scoop cookies using a small ice cream scooper , and I am now addicted to the Silpat liners which I use for baking . If you haven’t bought these use parchment paper. ( I highly recommend making the investment in Silpat liners they are worth every penny) Preheat oven to 350 degrees and when oven is ready bake for 10 – 12 minutes. I baked for about 12 minutes actually. 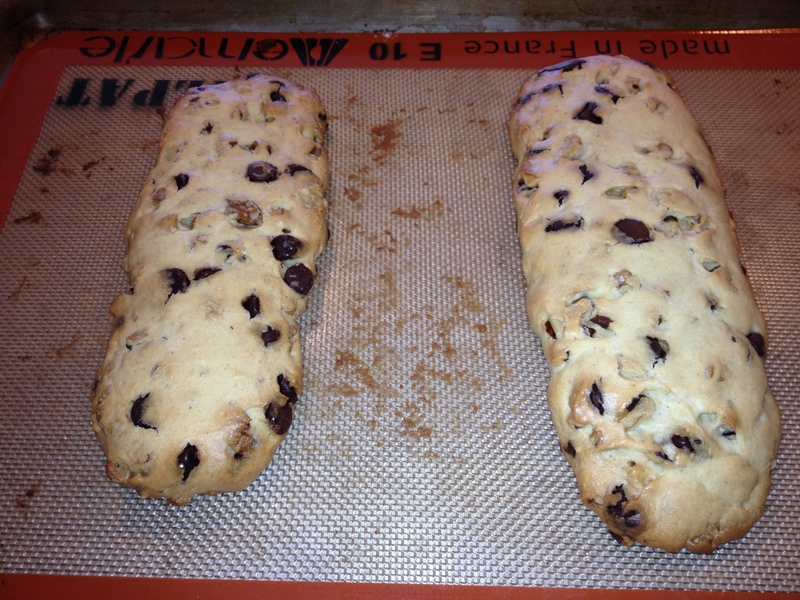 You’ll have to check at 10 minutes depending on your oven and how cold the dough was when it went into the oven. 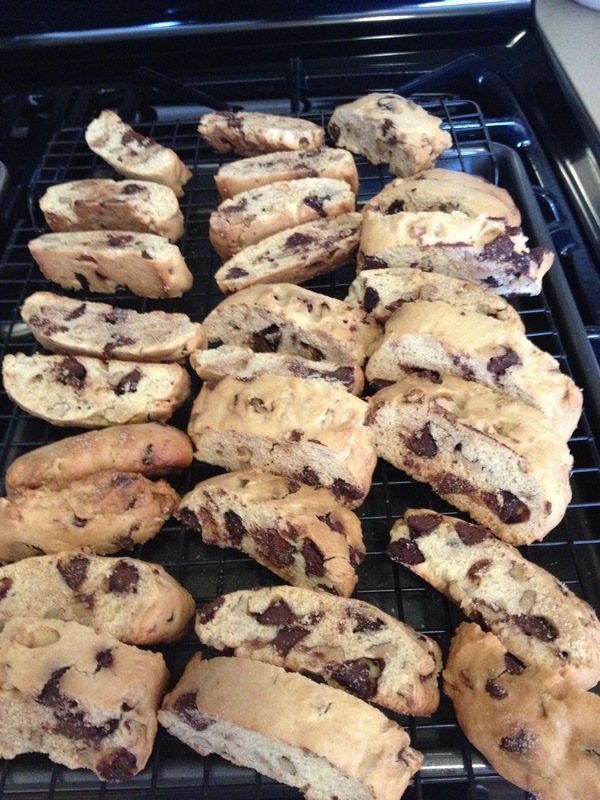 Cookies should be at least 2 inches apart, or they will melt into one another. They should be golden at the edges but still a little undercooked on the tops. 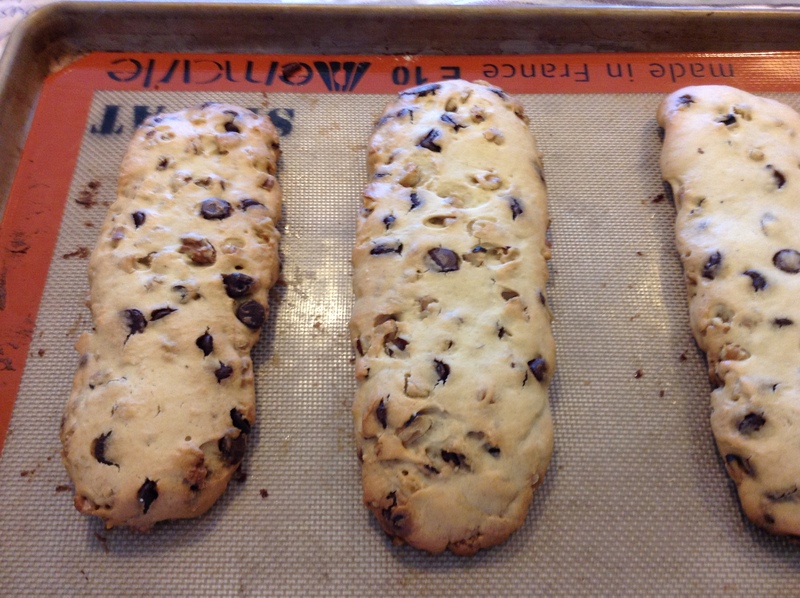 Let them sit on the baking sheet till they cool down ( at least 5 minutes) . Yummy! Joel loves Oatmeal Raisin Cookies, and he loved these. Great with a glass of milk, tea or coffee.